I was drawn to this book by the promise of a strong female character; a scientist in the 19th century making her way through life in a male and religion dominated world. I wasn’t disappointed at all. The Signature of All Things starts with the story of Alma’s father and how he came to become a botanist. It then moves through Alma’s childhood, into adulthood and throughout her career. She falls in love with a man who challenges the scientist in her with his spiritual beliefs. Although this is a main part of the plot, this relationship doesn’t overtake the book. I wouldn’t call it a romance novel, but an exploration of a woman’s life. The book is much easier to read than you would think considering the scientific theme running through it. The idea of reading about a botanist doesn’t seem too appealing, but the science doesn’t take over. The writing flows well and I loved the tone of the book. I also loved the touch points with historical figures and events scattered throughout the book. It is a very long book, and others might criticise it for being too drawn out, but I can’t imagine where you would cut sections out without leaving huge emotional voids in the story. This book has been long listed for the baileys women’s prize for fiction, and I can see why. It was so lovely talking to Elizabeth about her book and the writing process. She told us how she didn’t want the happily ever after to be a successful marriage or children. A woman doesn’t need to achieve these things to feel successful and fulfilled. It’s a lovely sweeping novel typical of the time without the stereotypical ending. The message she sends across is one of passion and drive to succeed without needing a man to enable that. I can’t stop thinking about this book! 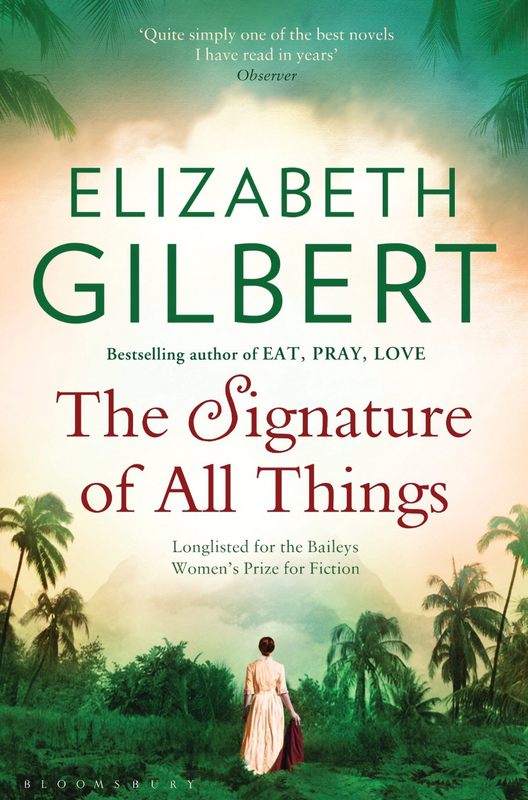 I was also on a webchat with Elizabeth Gilbert over on Mumsnet talking about her book The Signature of All Things. I thought you might like to see a few things she said about the book. I was really keen to talk to her about her intentions behind the book; whether she intended a feminist theme and how difficult that was to portray. Thank you for this! I’ll tell you the truth…my first instinct with this novel was to write the story of a brilliant woman of ideas who could never make an impact on the world of science because she was a woman, and nobody would listen to her. But as I began to do research on 19th century female botanists, I discovered that many of them had been taken VERY seriously. They were published, they had plants named after them, they co-founded botanical gardens, they engaged in academic arguments with their male peers about taxonomy…in other words, they had voices and they had a certain amount of power. (Not a huge amount of power: They couldn’t be president of a university, or the head of the Royal Society of Fellows. But they were far from invisible) To be sure, all those women had money and class on their side, but they still had some power. When I learned this, it changed the whole story. I made Alma stronger, and made the men in her life respect her more. I think it made for a more honest and complicated tale. I see myself in all of them. Sometimes I think I am mostly Alma, but other times I think I am entirely Henry (the ambition! the ambition! )…but there are days when I am purely Beatrix (the firmness and discipline) and other days when I am crazier than Retta and dreamier than Ambrose. The only character I don’t identify with so much is Prudence, because her goodness is so out of reach to me. I wish I were so virtuous, but I afraid I’m not such a saint! I found your wonderful review of this book via FromFirstPagetoLast who featured it in the quiet novels series today. 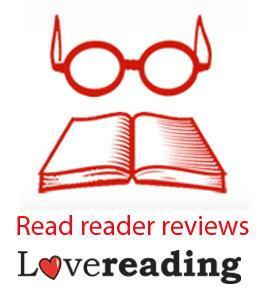 I wanted to comment because I’ve avoided this book in the past as I hadn’t liked the author’s previous book but your review of The Signature of All Things has really sold this one to me. I’m going to buy it on your recommendation as I feel sure it will be one that I will really connect with. That’s great! I didn’t get on with her previous book at all, but loved this one. She was such a lovely author to chat to as well. It would be great to hear what you think of it! It might be a little while before I get a chance to read it as I’m trying to catch up on review books at the moment but I’ll definitely let you know when I’ve read it.